MY FATHER WAS HEALED, IN THE NAME OF JESUS! SAVED: My Father (Danny Kirchner), My fiance, My 81 Year old Grandmother and my Mom! 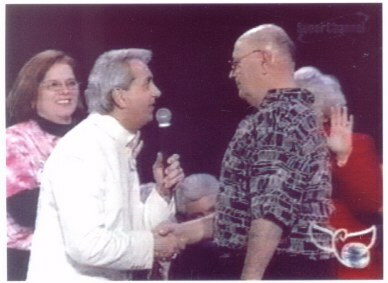 "Me, Benny Hinn, My Father and My mom"